In conversation with Stephanie Gray and her partner, Darrel Stevenson, the first thing that you notice is the couple’s tenacity. Both experienced chefs, the pair have worked in hospitality all their lives, investing in a series of challenging projects and developing each of them successfully. 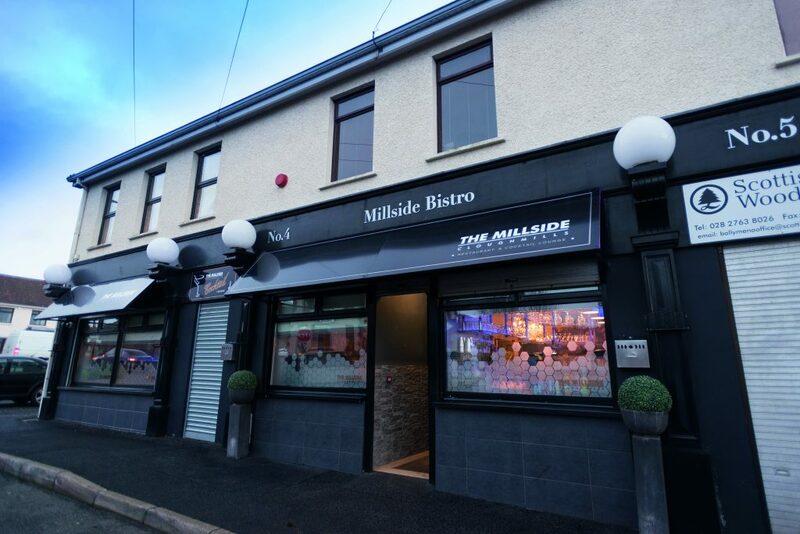 Of all those schemes, the most enduring has been The Millside restaurant in the mid-Antrim village of Cloughmills. 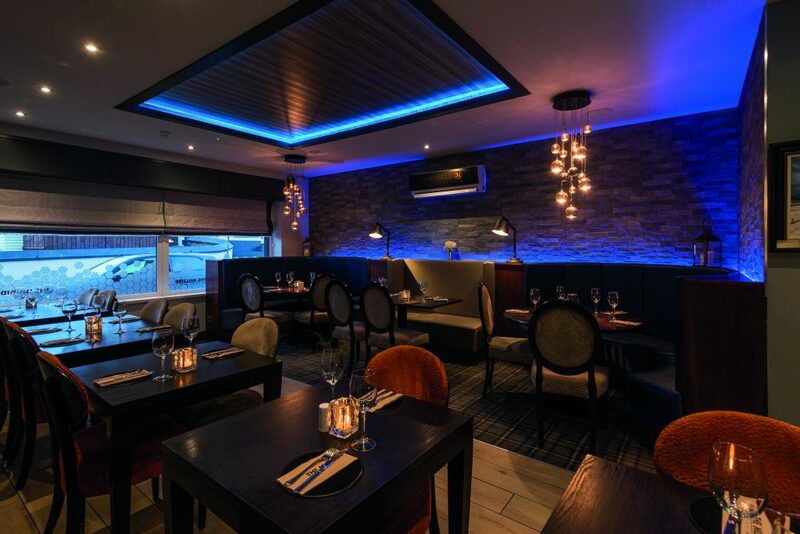 This was the couple’s first joint investment and since opening the 32-seater restaurant in a former pharmacy on the Drumadoon Road in November, 2004, they have spent upwards of £1m developing and improving the venue. These days, The Millside bears little resemblance to its humble predecessor. 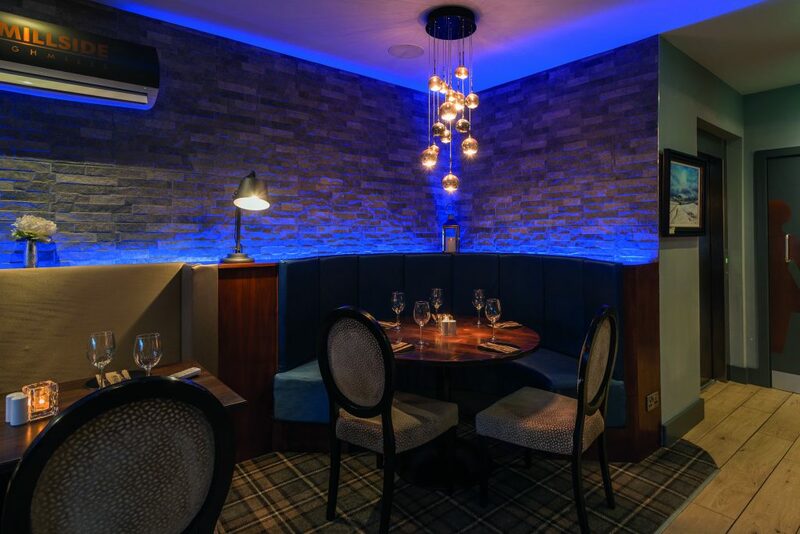 A succession of regular refurbishments over the last 14 years have transformed it into a 100–seater restaurant and bar with bespoke take-away facilities and a chic upstairs gin lounge where diners can relax before and after their meals. Stephanie and Darrel have been together for 17 years. They met when they worked on the north coast – Stephanie as head chef in the Marine Hotel, Ballycastle and Darrel at The Causeway Hotel, where he was also head chef. In 2004, Stephanie left the Marine and took a post in the kitchens at The Causeway and the pair began to hatch their plans for a restaurant in the village of Cloughmills. In April 2004, they collected the keys to vacant premises on the edge of the village. ‘This was a chemist’s shop before we took it on, there was only one plug in the whole place,’ recalls Stephanie. In the years that followed, the couple took on a succession of hospitality schemes, investing and developing each of them successfully. In 2005, they secured the lease for the 28-bedroom Causeway Hotel from the National Trust. They ran that business for the next six years and led an investment programme worth £250,000 in that time. Three years later, Stephanie and Darrel went into partnership with another couple and opened a second Millside restaurant, this time in a listed former school building in the 18th century Moravian village of Gracehill, near Ballymena. The partnership ultimately foundered, but Stephanie’s sister, Anne, and her husband, Patrick McGarry took the business on six years ago and are still running the restaurant very successfully today. And in 2008, the enterprising couple took the lease on The Fullerton Arms guest house at Ballintoy. They kept that business for seven years and invested heavily in it during that time, only letting it go in 2015 in order to concentrate on their business in Cloughmills, which was steadily growing. The Millside has been a consistent performer over the years. By 2008, business was so healthy and the demand for space so pressing that Stephanie and Darrel’s only option was to expand into adjoining premises, That meant creating a new office in their end of the building for the one-man business they were displacing, but it facilitated a large-scale refurbishment of the restaurant, doubling its seating capacity to around 70 and adding a bespoke space for the thriving take-away service. ‘The problem even then was that we didn’t have any extra space to work with but the footfall was just enormous, it never stopped day and night,’ says Darrel. The last major overhaul at The Millside took place over about six months in 2016 when the couple spent around £300,000 on a thorough kitchen revamp and a new lift. 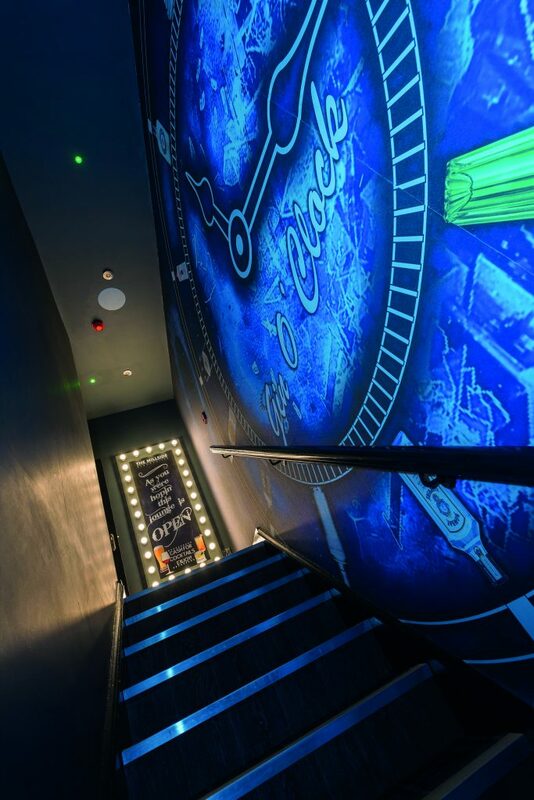 That opened up the first floor area which they transformed into a cosy gin and cocktail bar. 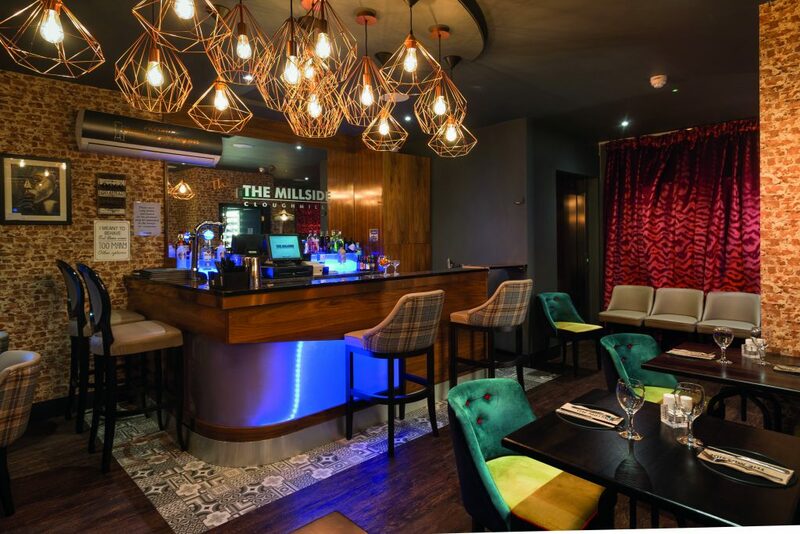 There are currently around a dozen gins on the menu at The Millside and a large selection of whiskeys and all the restaurant staff have been fully trained by The Cocktail Academy. Stephanie and Darrel estimate that since this latest round of improvements, business at the restaurant has increased by around 30 per cent. ‘For us, it’s always about trying to get back the initial investment, then we’ll have the confidence to forward another bit and improve things again,’ he explains. ‘Food costs and staff costs have gone through the roof in the last year, it’s the same for everybody, and it can be difficult to claw back the money that you’ve put in. In the longer term, Stephanie believes that she and Darrel can still realise their dream of building a Millside-branded hotel. It’s perfectly feasible, she says, and given the resilience of this enterprising couple, there’s every reason to believe her. In 2017, following the death of her father, Robert Gray, Stephanie dealt with her grief by tackling another of her long-term goals: she wrote a novel. ‘Local Lilly Goes To Spain’ is the story of a country girl who takes off on holiday with her girlfriends after discovering that her boyfriend has been cheating on her. Written in the space of just a few months, the book currently has a five-star rating on Amazon and Stephanie is hard at work on a follow-up in which Lilly goes off on a second trip, this time to Las Vegas. And as if working in the restaurant trade and writing a novel wasn’t enough to keep her busy, Stephanie is also currently helping to design a swimwear line that will tie in with the books.